October 30, 2011 RF Magglio Ordonez elected free agency. October 17, 2011 Detroit Tigers activated RF Magglio Ordonez. 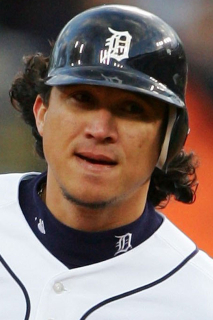 June 13, 2011 Magglio Ordonez roster status changed by Detroit Tigers. June 3, 2011 sent RF Magglio Ordonez on a rehab assignment to Toledo Mud Hens. May 13, 2011 Detroit Tigers placed RF Magglio Ordonez on the 15-day disabled list retroactive to May 11, 2011. Right ankle weakness. December 17, 2010 Detroit Tigers signed free agent RF Magglio Ordonez. November 7, 2010 RF Magglio Ordonez elected free agency. October 6, 2010 Detroit Tigers activated RF Magglio Ordonez from the 15-day disabled list. October 4, 2010 RF Magglio Ordonez assigned to Caribes de Anzoategui. July 25, 2010 Detroit Tigers placed RF Magglio Ordonez on the 15-day disabled list. Fractured right ankle. October 9, 2009 OF Magglio Ordonez assigned to Caribes de Anzoategui. May 22, 2009 Detroit Tigers activated RF Magglio Ordonez. May 18, 2009 RF Magglio Ordonez roster status changed by Detroit Tigers.